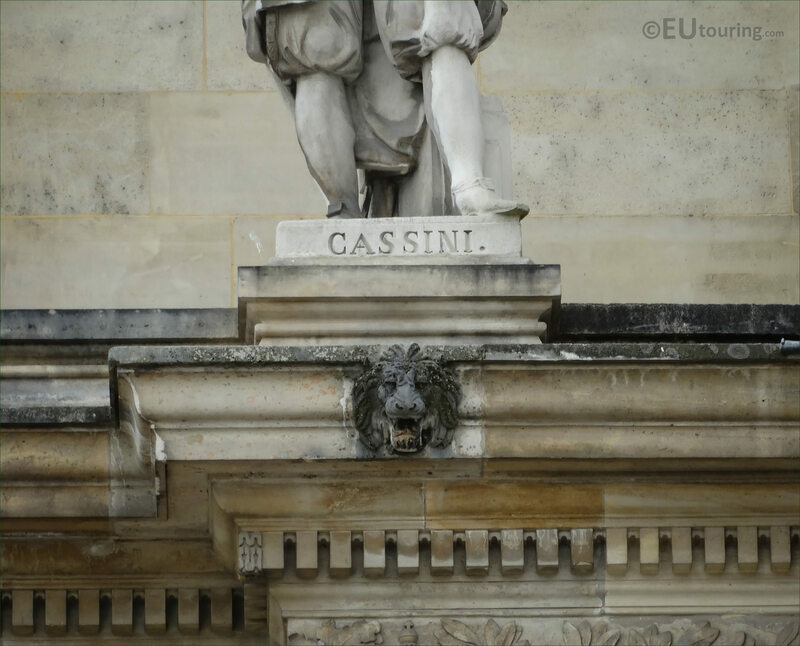 These high definition photos were also taken of one of the statues located on the Aile Daru of the Palais du Louvre, which portrays the French astronomer and cartographer Cassini, which can be seen from the Cour Napoleon courtyard when visiting the museum. Located on the first level of the Aile Daru, this particular statue inscribed Cassini can be found on the far right hand side, and was sculpted in 1857 by the artist Etienne Hippolyte Maindron who was born in 1801 and died in Paris in the March of 1884. 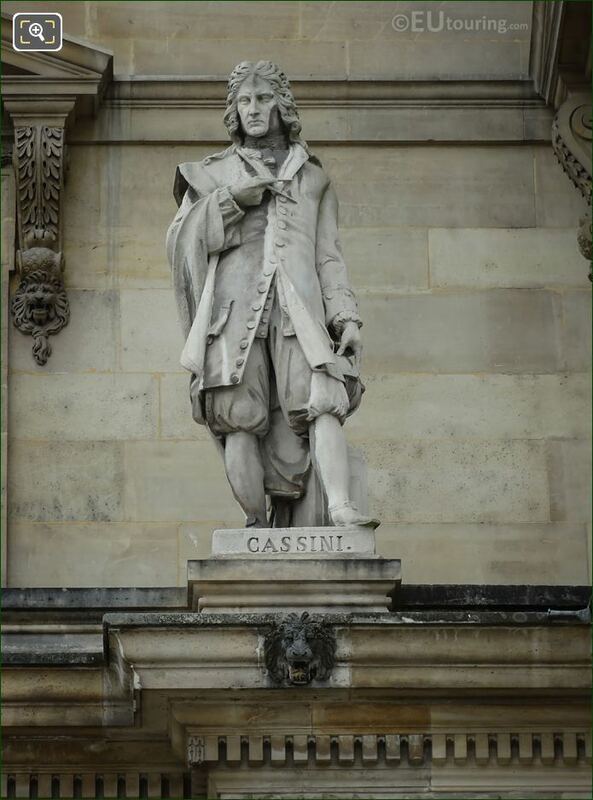 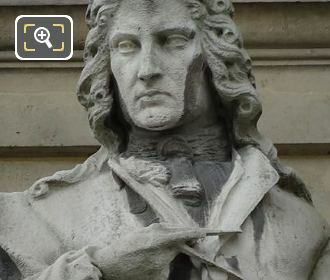 This close up photo shows the statue depicting the French astronomer and cartographer Cesar-Francois Cassini, who was born in July 1714 and was the grandson of the famous Italian born astronomer Giovani Cassini who was known as Cassini I that went to Paris on the request of King Louis XIV and became a French citizen. 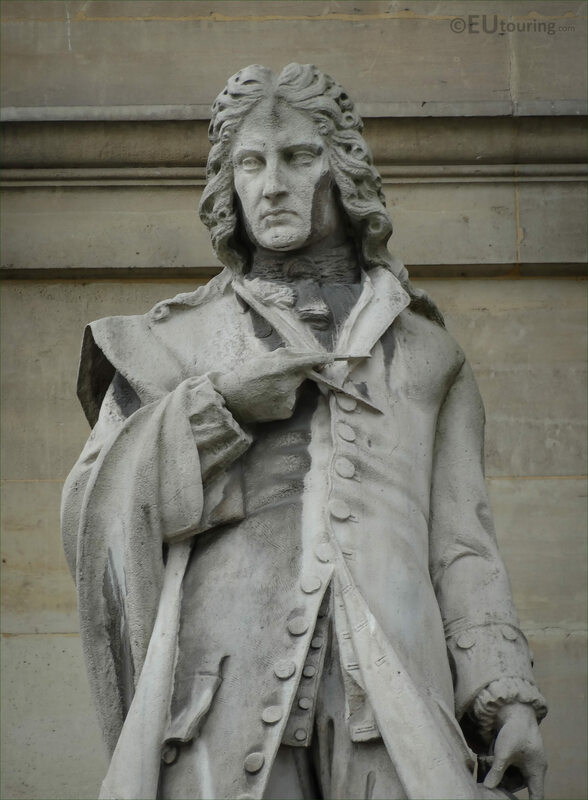 So you will find that Cesar Francois Cassini was from a long line of renowned astronomers, and often referred to as Cassini III, as we mentioned, he was also a cartographer, and he began the construction of a great topographical map of France, which is one of the major landmarks in the history of cartography, that was completed by his own son after he died of smallpox in Paris in 1784.